On this site we write about pet supplies and pet products for dogs, cats and all sorts of other pets you may have. This includes clothing, pet food and non-traditional animal information. If you're looking to purchase an outdoor dog kennel or just a cover then Walmart has a few choices. The selection includes the Champion Box Kennel, Hi-Rise Boxed Kennel or Weatherguard Kennel Roof System, 10'. With features of chain link, easy set up, rust free, extended legs, tubing and more. The roof system cover is designed to fit 5X10 kennels with an all weather protective fabric. The outoor dog kennel provides safety, security and reliabiity for your pet dog. CL 61098 6'H x 5'W x 10'LCL 61098 6'H x 5'W x 10'L EASY SHIP BOXED KENNEL - Professional Grade Kennels Product Highlights: Designed as the highest quality, most economical and convenient kennel packaged in a retail box. 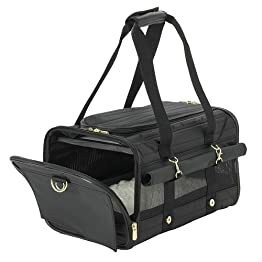 The Easy Ship Boxed Kennel features a uni-body chain link perimeter system along with a quick connect kennel frame. Each Boxed Kennel is constructed from: 100% commercial grade galvanized steel frame featuring quick connect frame components Galvanized heavy-duty uni-body chain link wire mesh perimeter. The 10' Weatherguard Kennel Roof System CL 51097 is a professional grade product designed to fit all 5' x 10' kennels. Constructed from galvanized steel and all-weather UV-treated protective fabric, it adds a protective barrier between your pets and the outdoor elements. Keeps pets happy and safe outside! Target has a nice selection of Sherpa dog carriers, backpack and totes. With choices of wheels, rollup totes with black leather like features of duffle bag styling and the backpack. These two models are approved by most airlines and fits easily under the seat. Or the Passion or Legacy tote so stylish in pink. The small Legacy tote is very small and hold dogs up to 10 pounds. Any of these Sherpa dog products, stylish, fashionable and perfect for your pampered dog. 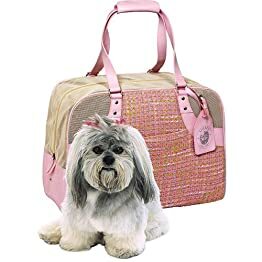 Say good-bye to bulky pet carriers and hello to a stylish new way to travel with this Sherpa roll-up tote. 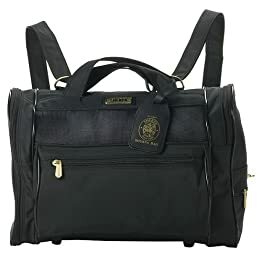 The black patent leatherlike tote features sophisticated duffle-bag styling; gold-tone hardware; carrying handles/shoulder straps; mesh side panels with roll-up flaps for privacy and ventilation; easy-access top/side openings; removable travel tray and 2 side-zip pockets. 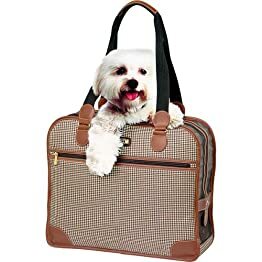 Approved by most airlines, it fits under airplane seats and can be used in cars, on trains, at home or for vet trips. Polyester with washable liner. • Size Small is designed to hold dogs up to 10 lbs. Standard holds dogs up to 16 lbs. If you're looking for a dog gate then Petco has a nice selection of wide, tall and retractable pet gates. Available in a variety of sizes, designs and styles from many brands and openings in brown. With features of retractable, mesh, lock, portable, attractive, sturdy, durable, see thru-panels, hardwood frame, extra wide and more. The dog gates offer your pet the safety, security and convenience at reasonable prices. Gate even the largest openings with our Four Paws Extra Wide Wood Slat Pet Gate. This varnished wood gate covers openings up to eight feet wide to keep your pet in or out of the areas you choose. Easy mounting instructions and hardware included. Pet gate acts as an extra-strong hard-to-climb barrier with see thru-panels. Pressure mounts instantly without hardware. Fits openings 26"- 42" wide. Simply position and lock in place. Retractable Pet Gate features a strong mesh that extends to cover openings from 4" to 53". Simply pull out the carrier bar and lock length needed for doorway width. When not in use, the mesh rolls out-of-sight into the case. If you're looking for pet ID Tag for your dog then PetSmart has a good selection. Whether you want one personalized, engraved, brass, gold, pewter, aluminum or a fashion ID tag. Available in shapes of bones, hearts, slider, reflective or a St. Francis of Assissi tag. So many terrific choices in any pet size by many brands. These life saving ID tags in a variety of styles and designs are perfect for any dog. Shop PetSmart for dog collars, leashes and ID tags. We carry a large assortment of fashion collars, harnesses, muzzles, obedience training collars, leads, tie-outs and more. Your pet's safety is top priority to you, so make sure they wear their ID Tags. Front of tag is engraved with one line of up to 20 letters, back of tag is engraved with four lines of 26 letters per line. Please provide your pet's name, address, and a phone number. All of our ID tags are laser engraved to last a lifetime. Your pet's safety is top priority to you, so make sure they wear their ID Tags. Front of tag is engraved with one line of up to 12 letters, back of tag is engraved with four lines of 12 letters per line. Please provide your pet's name, address, and a phone number. All of our ID tags are laser engraved to last a lifetime. This identification tag is more than a just a pretty charm for your pet's collar--it's engraveable so that if you and your dog are separated, you can easily be contacted. All of our ID tags are laser engraved to last a lifetime. The St. Francis of Assisi ID tag provides the ultimate protection for your beloved pet. The front features an embossed image of St. Francis of Assisi (patron saint of animals) with the words "St. Francis of Assisi Protect My Pet." Plus, it's engraveable so that if you and your dog are separated, you can easily be contacted. All of our ID tags are laser engraved to last a lifetime. 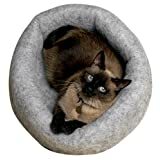 If you're looking for a Flexi Mat Cat Napper, Purr Pad or the Kitty Kup then Amazon has them. 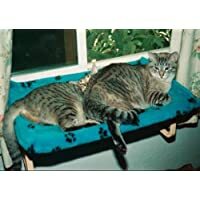 With features of perching shelf, rectangular, fleece cover and machine washable and molds to your cats shape. The cat napper is a hammock and perch in one or the kitty kup that folds into a tunnel. 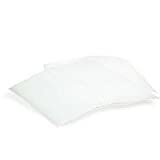 The ultrasoft polyester purr padd keeps your cat warm and cozy and acts as an insulator. The cat napper, purr padd and kitty kup are so perfect to keep your cat or kitty safe, secure and comfortable. Features: A hammock and a perch in one. Dimensions: 15.5" x 24.5" x 2.0". Can be adjusted to fit most any sill. Can be moved from window to window. Easy to assemble, no hardware required. Molds instantly to your cat's shape for maximum comfort. Structural plastic frame is designed to hold up to 35 pounds. The secret's in the fluff. The ultrasoft polyester fibers work as an insulator, to absorb and hold heat, keeping your kitty warm and cuddly year round. Contains two cushions--place in your cat's favorite rooms. 100% non-allergenic. Made in the USA. 100% recyclable materials. 100% non-allergenic. 100% non-toxic. Two beds in one. Unfolds into a play tunnel. Polyester with electrostatic charge to trap hair, dirt and dust. Fibers work as an insulator to absorb and hold heat. 17 in. diameter.